Shares in the UK’s biggest bookmakers have plummeted after reports Philip Hammond had accepted a £2 maximum stake on fixed odds betting terminals (FOBTs). 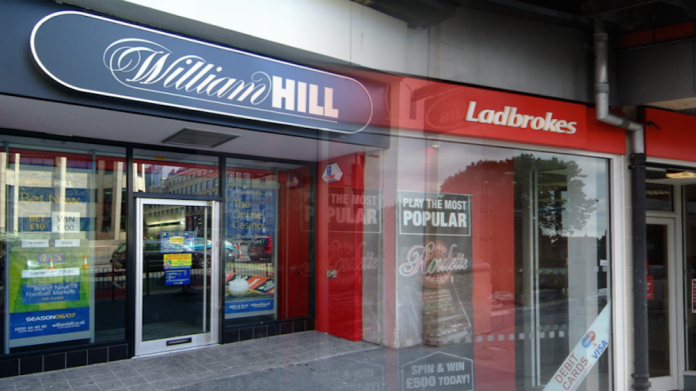 William Hill shares dropped a staggering 14 per cent in morning trading, while GVC Holdings, which owns Ladbrokes Coral, slumped more than 6 per cent. The government said in January that the maximum stake on FOBTs would be cut from £100 a spin to somewhere between £50 and £2, with the result to be decided after submissions from the industry and campaigners such as Bacta. The latest news is “hugely significant”, said Bacta chief, John White. “While the final decision is yet to be made, Mr. Hammond’s recognition of the vital need for £2 (limits) aligns the Treasury’s view with that of the [Department for Digital, Culture, Media and Sport] bacta, the public, cross party MPs, faith groups and countless other stakeholders,” said White. Treasury insiders said Hammond has never opposed moves to reduce the stake, but was insistent no other public services lose out from lost levies from the machines. Election purdah rules mean that any announcement must wait until after local elections next week. The shift in tone from the treasury comes after a number of high profile Conservatives intimated they would be willing to rebel if the government did not back a reduction to £2. Sarah Wollaston, chairwoman of the health and social care select committee, tweeted: “I will not be supporting any moves that allow high stakes #FOBT”. Treasury insiders have said that in relation to a decision being made “we are very nearly there” with growing optimism that an agreement between Hammond and culture secretary Matt Hancock was “imminent”.